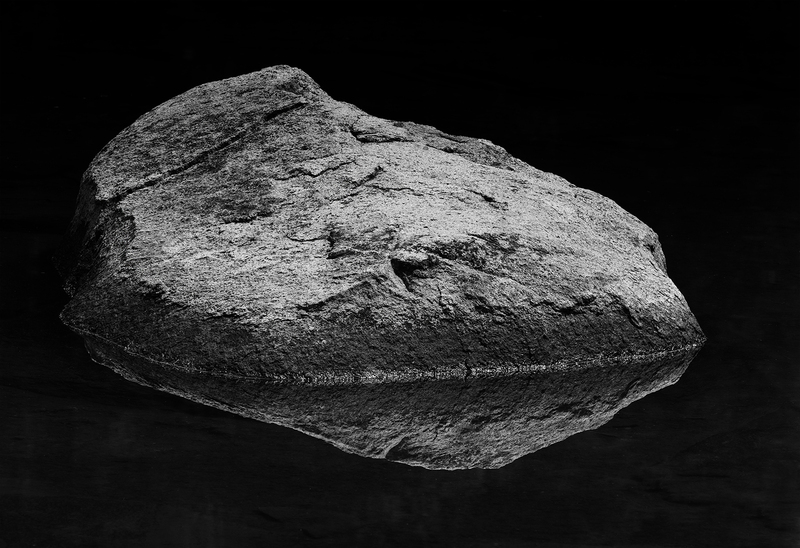 This granite stones was found in a small pond off the roadway of Tioga pass near Snow Creek where I spent a couple hours. I had been to this pond several years earlier with John Sexton and Charles Cramer. I took many images trying to capture a proper grouping of stones. I then decided to concentrate on a single rock to capture its solo quality in the overall background of reflected trees which is often the target of photographers.